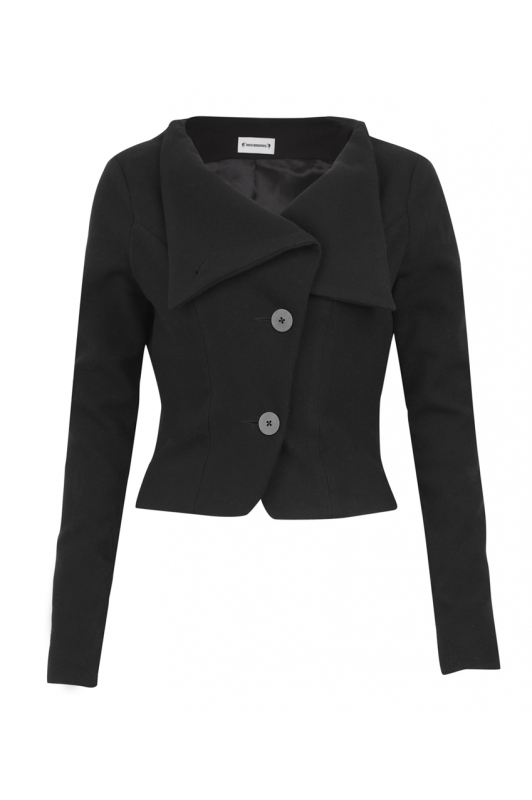 THE TULIP JACKET IS A BEAUTIFULLY TAILORED JACKET, FITTED BODICE, BOATNECK COLLAR,LOOKS GREAT NEATLY BUTTONED UP AND EVERY BUTTON YOU OPEN WILL GIVE THE JACKET A DIFFERENT DRAPE ACROSS THE CHEST. IF YOU ARE NOT COMPLETELY SATISFIED WITH YOUR PURCHASE, SIMPLY RETURN THE ITEM'S TO US IN THEIR ORIGINAL CONDITION AND PACKAGING WITHIN 7 DAYS OF RECEIPT AND WE WILL ISSUE A FULL REFUND (EXCLUDING ORIGINAL DELIVERY CHARGE), OR EXCHANGE THE ITEM FOR A DIFFERENT SIZE / COLOUR, IF PREFERRED. I AM HAPPY TO SHIP WORLD WIDE. SHIPPING COSTS ARE SET BY ROYAL MAIL, DELIVERY WITHIN 7 DAYS.